Like many young Canadian soldiers, Ralph was captured by the Japanese army. He would spend the war in prison camps, enduring pestilence, beatings and starvation, as well as a journey by hell ship to Japan to perform slave labour, while around him his friends and countrymen perished. Back in Canada, Mitsue and her family were expelled from their home by the government and forced to spend years eking out an existence in rural Alberta, working other people's land for a dollar a day. By the end of the war, Ralph emerged broken but a survivor. Mitsue, worn down by years of back-breaking labour, had to start all over again in Medicine Hat, Alberta. A generation later, at a high school dance, Ralph's daughter and Mitsue's son fell in love. Although the war toyed with Ralph's and Mitsue's lives and threatened to erase their humanity, these two brave individuals somehow surmounted enormous transgressions and learned to forgive. 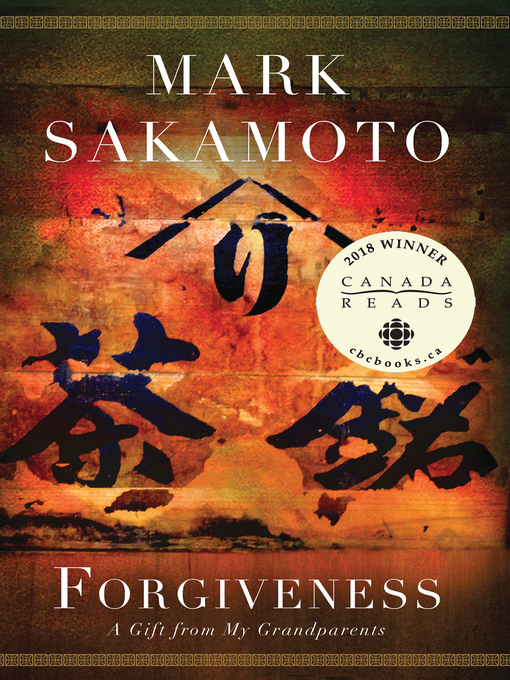 Without this forgiveness, their grandson Mark Sakamoto would never have come to be.